Remember when this was just for rich kids at college? Anyone? Is this thing on? 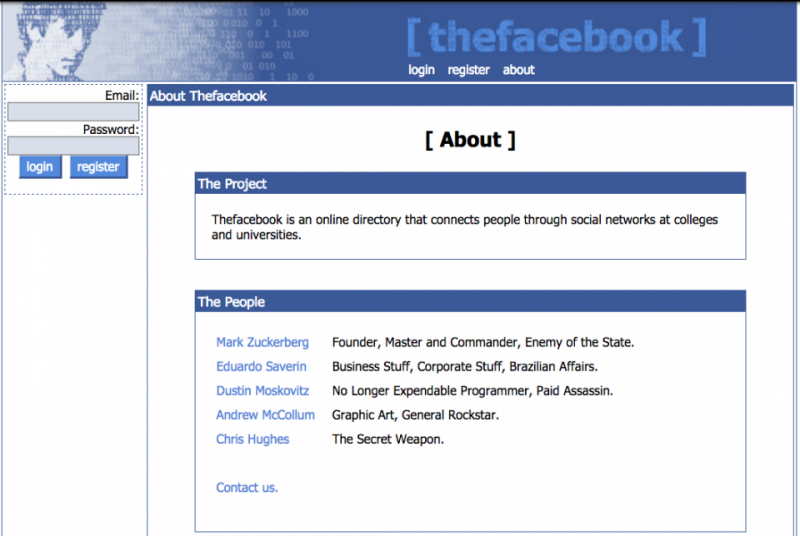 It was 12 years ago yesterday when this online polling contraption called “The Facebook” was developed by a Harvard undergrad named Mark Zuckerberg. And now that everyone gives a crap about what’s in his closet and his opinion on child vaccinations, we have a platform that has changed the way we do business. Our clients demand it. We dream about it. And consumers expect it. Every industry, every client, everyone has a group considered “influencers.” These are people who are desired for their attention, ability to sway others, and have considerable clout in any given field. Facebook allows your client’s brand to connect with these people — as well as everyone else. What they like, share, and discuss matters because you know they trigger action and emotion. Understanding that will force you to share only quality content instead of the random ‘we’re hiring’ post with no pictures or links. Those influencers are impatient. Take it seriously. They do. 3. The new way to pitch. ICYMI: Blanket BCC pitches are so 1990s. Journalists hate that. Trust me, I was one. They are awful because there is no attempt to form a relationship and tell a story. Those are “flacks.” They only send the email to shill and not to share. Journalists are learning to use Facebook for ideas for news stories because those dumb emails can be overwhelming. Facebook gives you a tailored audience. If the timing is right, they will find your client’s post and possibly create an earned headline. Every time a client wants to search for the trends, he or she logs onto Twitter. Because when they think “trends,” they think “trending,” which is a word that has been owned by the little blue bird. However, Facebook is a completely different social platform, so why wouldn’t Facebook have different trends? Different people like to discuss different things. So they do it on different platforms. Next time, your client or team is searching for trends, give yourself more options. Much like dating apps and the wrinkles on one side of your face, profiles do matter. Several PR pros and clients alike fill a Facebook profile with fluff, market speak and those dreaded, aforementioned buzzwords. Facebook fans want to know precisely what you stand for, and what you believe. If they have to work for that answer, they will simply stop working. There’s only one thing worse than a negative comment — no comment at all. Be transparent. Be authentic. Be real. No one on Facebook likes going to a fan page for a brand they enjoy and seeing that the page hasn’t been updated in a couple of weeks. “Well, we just don’t have time” is an excuse for not being committed to social media. It’s also the reason no one seems to care about your brand to the magnitude you wish. If you want to be on Facebook, be on Facebook. Be serious about posting content that works — at least one or two times daily. Mix up the posts because they don’t all have to be cheeky lines with a stock photo. If your timeline is all the same, it will look like Zuckerberg’s closet.